The impact of gambling advertisements shown during sporting events on young people is an important public health issue. While extensive research has taken place in Australia, there is still only a limited understanding of this issue in the United Kingdom (UK). A mixed methods study was conducted with 71 family groups comprised of 99 young people (8–16 years) and 71 adults recruited at six sites across South London, England (May–July 2018). Interviewer-assisted surveys investigated recall and awareness of sports betting brands using interviews and a magnet placement board activity developed in Australia. Quantitative data were analysed using descriptive statistics, with qualitative data interpreted using thematic analysis techniques. Just under half of young people (n = 46, 46%) and more than two thirds of adults (n = 49, 71%) were able, unprompted, to name at least one gambling brand. Boys had a significantly higher recall of brands than girls, as did young people who watched a lot of football on television. Almost two thirds of young people (n = 63, 63%) correctly placed one or more shirt sponsor magnets next to the corresponding football team, and 30% (n = 30) correctly placed three or more sponsors magnets next to the corresponding football team. Just under two thirds of adults (n = 44, 62%) correctly placed one or more shirt sponsors magnets next to the corresponding football team. Young people recalled seeing gambling advertising on television (n = 78), technology/screens (n = 49), and in association with sports teams (n = 43). Adults recalled seeing advertising on television (n = 56), on technology/screens (n = 37), in sports stadiums (n = 34), and in betting venues (n = 34). Over three quarters of young people (n = 74 out of 95 responses, 78%) and 86% of adults (n = 59 out of 69 responses) thought that betting had become a normal part of sport. In order to reduce the exposure of young people to gambling advertising, policymakers in the UK should consider comprehensive approaches, similar to those applied in tobacco control, which cover all forms of advertising, including promotion and sponsorship. The impact of gambling advertisements shown during sporting events is increasingly recognised by the international research community as an important public health issue for young people [1, 2, 3]. Much of the research investigating the impact of gambling advertising on young people has been conducted in Canada and Australia, while there is still only a limited understanding of this issue in the United Kingdom (UK). Gambling advertising in the UK has increased rapidly since the Gambling Act 2005 came into force in 2007. The number of ‘spots’ advertising gambling on television increased from 152,000 in 2006 to 1.39 million in 2012 . The amount gambling companies spend on advertising has also increased. In 2015, gambling companies spent £118.5m on television advertising, an increase of 46% since 2012 . In 2018, bookmaker Paddy Power estimated that advertising spend in the sports betting market was rising at a rate of 19% per annum . Oversight of gambling advertising in the UK is the responsibility of the Department for Digital, Culture, Media and Sport (DDCMS), Ofcom, and the UK Gambling Commission. Gambling operators must also comply with advertising codes of practice (BCAP—The UK Code of Broadcast Advertising, and CAP—the UK Code of Non-broadcast Advertising and Direct & Promotional Marketing) which are administered by the Advertising Standards Authority (ASA). Operators have also created the Industry Code for Socially Responsible Advertising (, pg. 25). The ASA codes focus on content restrictions: in particular, that gambling advertisements must not ‘be likely to be of particular appeal to children or young persons, especially by reflecting or being associated with youth culture’ . While most gambling advertising (with the exception of bingo) is prohibited before the 9 pm watershed in the UK, sports betting may be promoted at any time of the day during live sport . Furthermore, and in common with other jurisdictions such as Australia, advertising restrictions do not apply to sponsorship promotions, such as shirt logos and signage . A recent study of televised football matches on Sky Sports and the BBC found that a majority of advertisements (29 out of 30 gambling brands and 57 unique brands overall) were for online gambling, with the majority of these advertisements appearing on dynamic billboards on the sides of football pitches . With increasing public concern about the impact of gambling advertising on young people, there have been some shifts in sponsorship relationships between sporting codes and gambling companies. The Football Association (the governing body of association football in England) ended its sponsorship deal with Ladbrokes in 2017, and the English Premier League (EPL) has not sought sponsorship since the 2016–17 season. However, in the 2018–19 season, nine out of the 20 EPL teams and 17 out of 24 Championship sides had gambling firms as shirt sponsors . Research has demonstrated that sponsorship promotions have a powerful impact on young people’s awareness, attitudes, and consumption intentions towards unhealthy commodity products such as tobacco, alcohol, and gambling [2, 3, 13, 14, 15, 16, 17]. Recent studies in New Zealand and Australia have explored the prevalence of gambling sponsors in sport , young people’s recall of gambling brands [3, 19], the influence and impact of gambling advertisements on young people’s gambling attitudes and decision making , and young people’s recall of gambling advertising at different times of day and on different media channels . These studies have demonstrated that young people, and particularly those who are fans of sport, have a high recall of gambling brand names, see gambling advertising on multiple media channels (including on social media), may have a reduced perception of the risks associated with gambling because of the messages within advertising campaigns, and perceive that gambling is a normal or common part of sport [2, 19, 21]. The studies also suggest that young people and adults want increased action on advertising to protect young people from exposure to advertising for these products [21, 22]. Studies have also investigated young people’s recall of gambling sponsorship, relative to their awareness of junk food and alcohol sponsors. In an Australian study of 85 young people aged 5–12 years, three quarters were able to identify at least one correct shirt sponsor associated with food, alcohol, or gambling companies . In Australia, there have been initiatives to remove gambling sponsorship from professional sport, with Victorian teams in the Australian Football League among those who have signed a charter with the Victorian Responsible Gambling Foundation which commits them to reject sponsorship from gambling companies . While concerns about the potential impact of gambling advertising on young people have been raised by the media in the UK [5, 25], less research has taken place in this jurisdiction. To what extent do young people and adults recall sports betting brands? Are young people and adults able to implicitly recall sponsorship relationships between gambling brands and teams playing in the EPL? To what extent do young people and adults perceive gambling as a normal part of sport? Where, if anywhere, do young people and adults see gambling advertising? What changes, if any, do young people and adults want to see to the current regulation of gambling advertising? Adapting the methods created in Australia [3, 17, 23], this study used a mixed methods approach to explore young people’s and adult’s recall of sports betting brands, their implicit recall of sponsorship relationships between gambling brands and teams playing in the EPL, where young people and adults see gambling advertising, the extent to which young people and adults perceive gambling as a normal part of sport, and what changes, if any, young people and adults want to see to the current regulation of gambling advertising. In order to assess the implicit associations of adults and young people between professional sporting teams and their sponsors, the study drew upon the research of Pettigrew et al. , Bestman et al. , and Thomas et al. , which used projective techniques. The other questions were answered using more traditional survey questions. Higher risk ethical approval was received from the Goldsmiths University Human Research Ethics Committee (Goldsmiths 1365), given that young people were involved and sports betting is illegal for children under 18 in the UK. The study recruited a convenience sample of family groups comprised of at least one 8- to 16-year-old and at least one parent or carer. This age range has been used in similar studies and represents the time at which young people become aware of gambling marketing and are able to understand the persuasive intent of marketing . Young people were recruited between May and July 2018 at six sites across South London. This time period was chosen in order to coincide with events which take place outdoors and attract young people and accompanying adults from a range of backgrounds, including those with varying levels of engagement and interest in football. Events included a young people’s football tournament run by a junior football club, three community festivals, a family car boot sale, and a primary school family camping event. While in Australian studies, major sporting events have been used as primary research locations for data collection, we were unable to replicate this as all of the London-based EPL, Championship, and League One teams who we approached either declined or did not respond to our requests for access to stadiums to conduct the study. Up to 15 undergraduate and postgraduate researchers (trained and supported by GW and ND) attended each event. A senior colleague (ND, GW, RC, or MW) was also present at all times to manage any problems and answer questions. A stand consisting of three sets of two whiteboards was set up underneath a sunshade at each event, with a blackboard displaying information about the study to alert passers-by to our presence and purpose. Adults with children were also approached and provided with written and verbal information about the study and invited to take part. Once they approached the stand, adults and young people were invited to ask questions prior to participation. Written consent was completed by all adults including on behalf of the young person for whom they were responsible. We added an additional verbal consent with young people to ensure that they were informed about the study and agreed to participate. When interviewing, researchers made it clear to both adults and young people that consent could be withdrawn at any time, for any reason. We faced some difficulties recruiting 15- and 16-year-olds in particular, as they tended to attend the events without adults, which made it impossible to secure parental consent thus rendering them ineligible for the study. Young people received a £5 Amazon voucher, a small bag of sweets, and a packet of football stickers as a token of appreciation for participation. We chose to give stickers from the Panini World Cup 2018 series which has no gambling sponsors so that we could ensure that they did not include gambling logos. Prior to data collection, all researchers undertook 2-h training sessions (including piloting the questionnaires). This training was supplemented by a briefing at the beginning of each data collection site to ensure that all researchers were absolutely clear about their roles. Responses were checked by ND and GW for quality and consistency during lulls in activity and after each data collection period. After consenting to the study, young people and adults were asked questions about their socio-demographic characteristics, including their age, gender, and ethnicity. Adults were also asked to provide their postcode so that we could assess the diversity of the sample using IMD  criteria. The Index of Multiple Deprivation  (IMD) was used as a proxy measure for socio-economic background calculated from postcode data supplied by the participating adult. IMD is an area level measure that synthesises data based on income, employment, health deprivation and disability, education, housing, and crime into relative deprivation levels that range from 1, representing the most deprived 10% of England, to 10, representing the least deprived 10%. Adults were also asked about their recent participation in gambling as an indicator of gambling behaviour (ethical guidelines prevented this question from being asked to those under 16 years old). To get an indication of young people’s perception of their own proximity and exposure to gambling activity we asked ‘how many adults that you know, gamble on sport?’ All participants were then asked how many gambling brands they could name. Young people and adults were then separated to participate in the implicit recall activity. There are 20 clubs in the EPL. During the 2017–18 season, nine teams’ shirts were sponsored by gambling brands. Four gambling and four non-gambling shirt sponsored teams were chosen for the magnet board activity. This meant that when picking the non-gambling control brands (10 in total), we had to choose some additional team sponsors from the Championship. To balance our selection, we decided on one gambling and one non-gambling shirt sponsored team relegated from the Premier League in 2016 (Aston Villa and Norwich City), and two further non-gambling sponsored teams Wigan Athletic and Bristol, and a similar-sized gambling sponsored team, Leeds. Each participant was presented with a whiteboard which showed eight EPL team logos (2017–18 season). These were placed in a random, vertical order from top to bottom. Four of the teams had gambling-sponsored team shirts (Crystal Palace, Everton, Stoke City, West Ham), and four had non-gambling shirt sponsors (Arsenal, Chelsea, Leicester City, Manchester United). Randomly ordered brand logos were placed at the bottom of the board. These 23 logos included the eight matching team shirt sponsors (ManBetX, SportPesa, BetWay, Bet365, Emirates, Yokohama Tyres, King Power, and Chevrolet respectively) along with 15 other gambling (Fun88, Unibet, 32 Red, OPE, Ladbrokes) and non-gambling brands (AIA, Inter Sport, American Express, Standard Chartered, Lancer Scott, Etihad, Palm, FXPro, Aviva, and Virgin Media) that sponsored other EPL and Championship teams. A key difficulty when choosing the logos for the magnet board activity was the prevalence of secondary sponsorships—in particular the use of ‘betting partners’, stadium partners, shirt sleeves (new to 2017 season), and companies buying banners in grounds. Although Ladbrokes are not shirt sponsors, for example, they are official betting partners to numerous EPL clubs and listed by clubs as sponsors. As a result, Ladbrokes logos appear at many grounds and official events (for example, the backgrounds used at press conferences). We chose to include the Ladbrokes logo in order to investigate how this type of sponsor relationship was interpreted, if at all. A ‘projective technique’ was used whereby participants were not asked directly to match teams and sponsors but simply asked to place as many or as few brand magnets as they wished anywhere on the whiteboard (, pg. 2). Each participant was asked why they had positioned the magnets as they had, and this information was recorded. Participants were then given four magnetic gold stars and invited to indicate their most preferred teams and their most preferred brands by placing a star next to each one. Each board was given a unique identifier, and the boards were photographed for later analysis. Now that you have completed the magnet activity, do you remember seeing any advertisements or brand logos for betting during sports matches? What do you think about the advertising of betting during sports matches? Do you think betting has become a normal part of sport? Would you like to see any changes to the way betting is advertised during sporting events? These questions were asked after the magnet board activity in order to reduce any impact that they might have otherwise had on that exercise. Participants were then asked where they had seen advertisements for betting companies, first unprompted, and then with the aid of a picture board which showed 12 different options including a television screen, computer screen, betting shop window, and billboard. Gridlines were drawn onto the whiteboards prior to data collection, to help researchers objectively assess the distance between the placed magnets and team logos. In order to produce comparable data, the layout, spacing, and analysis of proximity in relation to boxes followed the specifications from the Australian study . All data were checked and cleaned before being coded. The main adjustments were small changes to the wording of qualitative data. Quantitative data was analysed using IBM Statistical Program for Social Sciences (SPSS) 22.0. Chi-square tests of association were used to determine whether different groups of young people (based on age or gender) differed significantly, or not, in terms of their abilities to implicitly recall relationships and in their answers to survey questions. In order to assess the relationship between watching sport on television and exposure to gambling advertising, recall of gambling brands, and attitudes towards gambling during sporting broadcasts, young people and adults were asked how often they watched various sports on television, choosing from options which ranged from ‘never’ to ‘all of the time/as often as I can’. On the basis of this data, a category of football fan who watched football on television ‘all of the time/as often as I can’ was identified and referred to as ‘Super Fan’. Qualitative responses were transferred to data management software NVivo and thematically analysed. Data interpretation was led by ND, with all coding checked by a second researcher after several re-readings. Regular meetings took place between all authors in order to discuss emergent themes. In this paper, qualitative responses are used primarily to complement quantitative data. A total of 99 young people and 71 adults took part in the study. Most of the young people (n = 71, 72%) were aged between 8 and 11 years (mean = 10.42, sd = 2.218), with most adults (n = 28) aged 36–45 (mean = 43.93, sd = 9.625). Two thirds of the young people who took part were boys (n = 66, 67%), and two thirds of the adults who participated were women (n = 47, 66%). The majority of the adults (n = 63, 89%) were parents of the participating young people, the others being grandparents or other carers. According to their postcodes, about a third of young people (n = 31, 31%) and adults (n = 23, 32%) were from the top 20% of most deprived areas according to the IMD. Under half of young people (n = 44, 44%) and 39% of adults (n = 28) identified as black or minority ethnic (BME). The majority of young people regularly played football (n = 79, 80%), with just over half (n = 55, 55%) playing multiple times in a week, or as part of a team. A majority of adults (n = 44, 62%) and three quarters of young people (n = 74, 75%) stated that they watched football more than any other sport, with over a quarter of adults (n = 20, 28%) and one third of young people (n = 33, 33%) saying that they watched football ‘all of the time/as often as I can’. The majority of young people (n = 82, 83%) and two thirds of adults (n = 47, 66%) said that they supported a football team. Seven adults (10%) said that they had bet money on sports within the last week. Almost three quarters of adults (n = 52, 73%) and over half of young people (n = 54, 55%) stated that they knew adults who gambled on sports (Table 1). Table 2 presents data on betting brand recall. Just under half of young people (n = 46, 46%) and more than two thirds of adults (n = 49, 71%) were able, unprompted, to name at least one gambling brand. Fourteen young people (n = 14, 14%) and a third of adults (n = 25, 33%) were able to name three or more gambling brands unprompted (child range 0 to 5, mean 0.96; adult range 0-6, mean 1.92). Boys had a significantly higher recall of gambling brands compared to girls (p 0.02). Young people who were categorised as ‘Super Fans’ were also significantly more likely to be able to name one or more brands compared to other young people (p = 0.01). The brand most commonly recalled by young people was Bet365 (n = 30), followed by Betway (n = 18). The top brands named by adults were Ladbrokes (n = 25) and William Hill (n = 24). Almost two thirds of young people (n = 63, 63%) correctly placed one or more shirt sponsor magnets next to the corresponding football team. Just under a third (n = 30, 30%) correctly placed three or more shirt sponsors magnets next to the corresponding football team. Young people categorised as ‘Super Fans’ were significantly more likely to place a sponsor next to the correct team compared to other young people. More than half of ‘Super Fans’ (n = 17, 52%) were able to correctly place three or more shirt sponsor magnets next to the corresponding football team (Table 3). Boys correctly placed an average of 2.11 shirt magnets next to the corresponding football teams while girls averaged 0.73 matches. Just under two thirds of adults (n = 44, 62%) correctly placed one or more shirt sponsor magnets next to the corresponding football team. Women correctly placed fewer pairs on average (0.89) than men (3.17). Both young people and adults most frequently placed the correct sponsors next to the three teams at the top of the EPL: Arsenal (adults n = 39, young people n = 49), Manchester United (adults n = 23, young people n = 42), and Chelsea (adults n = 18, young people n = 31). One in five young people (n = 20, 20%) correctly placed one or more gambling logos next to the corresponding team (range 0–4, mean 0.32). Among adults, this was 28% (n = 20, range 0–3, mean 0.37). I watch football a lot and I see what the sponsor on the shirt is and I kind of remembered it and I think of it and put it next to the team. One fifth (n = 20, 20%) of young people used ‘random’ positioning. This rationale was given far more often by the younger age group and by girls than it was by the older age groups, boys, and ‘Super Fans’. Adults most frequently placed brand magnets by identifying them as team sponsors (37%, n = 26) or shirt sponsors (n = 11, 15%). Random positioning was used by one fifth of adults (n = 14, 20%), the same proportion as young people (Table 4). A quarter of young people (n = 25, 25%) placed a star next to a gambling brand. The gambling brands most starred by young people were Bet365 (n = 10) and Betway (n = 10). Reasons given by young people for their choice of brand to star included the familiarity of the brand. For example, a 15-year-old girl ‘recognised’ Bet365 and chose to star it. A 13-year-old boy also chose Bet365 saying that it was the ‘most common one he had heard of’. Among adults, 20% starred a gambling brand (n = 14). The most starred gambling brands were Bet365 (n = 5) and Ladbrokes (n = 5). Reasons given by adults for the choice of brand to star included ‘I starred Ladbrokes because I thought it was Everton’s sponsor’ (33-year-old female Everton fan), ‘starred the company I bet with’ (33-year-old male), and ‘I chose the two brands I know best to star: Intersport and Ladbrokes.’ (41-year-old woman). Without prompting, young people most frequently recalled seeing gambling advertisements on television (n = 45), followed by betting venues (n = 15), and on technology/screens (n = 14). Young people are not allowed into betting venues in the UK but explained they had seen adverts in ‘shop windows’. After viewing the picture board of potential gambling advertising locations, the most common places young people recalled seeing gambling advertising were overwhelmingly on television (n = 78), followed by technology/screens (n = 49) and sports teams (n = 43). Adults had unprompted recall of seeing gambling advertising on television (n = 43), technology/screens (n = 16), and sports teams (n = 16). After seeing the location picture board, television was still the most frequently recalled places (n = 56), followed by technology/screens (n = 37), with sports stadiums (n = 34) and betting venues (n = 34) joint third (Table 5). Where were gambling ads seen? '(Betting) is much more acceptable. Betting shops need to be dark alien- unknown places, non-attractive, not advertising with famous people.' (48-year-old male). 'Some kids watch sport and it influences them to bet and they might want to do it.' (13-year-old-female). Young people who were positive about betting advertising during sport demonstrated a misperception of betting as a risk-free way to win money. Comments included: ‘you can get money for winning’ (11-year-old boy); ‘I like it. I want to win money’ (8-year-old boy); and ‘it’s good, you get loads of money’. (8-year-old boy). They also made an association between betting and supporting a team: ‘sponsorship supports the club so is a good thing’ (11-year-old boy). It’s annoying. It doesn’t give a good message and shouldn’t be associated with the things my son loves. It is fine, companies advertising- it is just business. When asked which form of advertising, if any, should be banned, adults (n = 26) and young people (n = 18) predominantly identified television advertising. When asked what specific changes to advertising they would like to see, the top two options chosen were ‘remove sports betting advertising in social media’ (adults n = 41, young people n = 38) and ‘remove sports betting advertising during television matches shown before 9 pm’ (adults n = 39, young people n = 36). The study is a first step in the process of addressing the lack of evidence about young people and gambling advertising in the UK using methods developed in Australia. Australian studies have demonstrated that over three quarters of young people can name one or more gambling brands (, pg. 4) compared to just under half of young people in the present study. However, this comparison should be interpreted cautiously as the Australian study deliberately targeted sports fans and participants, whereas this study examined a broader community sample of young people and adults. The more direct comparison might be with the ‘Super Fans’ of whom over two thirds could name one or more gambling brand. Similar to the Australian research, our study indicated that older children were able to name more brands than younger children. However, while Australian studies have demonstrated that there are few differences in gambling brand recall according to gender , in our study, boys had a significantly higher recall compared to girls, with boys as young as eight able to name three brands. These findings, along with a recent report by the Gambling Commission , which found that boys have a higher rate of problem gambling (2.0%) than girls (1.3%), suggest that a gendered approach to harm prevention may be warranted, including a closer examination of the relationship between gender, supporting/playing football, and gambling behaviour/attitudes ( in press). As with findings for unprompted brand recall, young people who watched a lot of football on television (Super Fans) were significantly more likely to place a sponsor next to the correct team compared to other young people; indeed, over half were able to correctly place three or more shirt sponsors magnets next to the corresponding EPL team. As with unprompted recall of betting brands, boys and men made more correct matches between sponsors and teams than girls and women, again raising questions about the gendering of engagement with football and its impact on implicit awareness and behaviour. Throughout the study, qualitative responses from young people showed that some of them conflated support for the brand with support for the team. The brands most ‘starred’ by young people were both companies with well-established associations with EPL football—Bet365 owns and has sponsored Stoke City since 2012 and Betway has sponsored West Ham since 2015. Proximity to West Ham does not appear to account for this finding—Crystal Palace was the closest EPL stadium to the research sites and no one recalled their shirt sponsor (gambling brand ManBetX) at the start of the survey. Moreover, only three adults and seven children correctly matched this team with their shirt sponsor. However, in a recent study, Bet365 was the most advertised brand in coverage of EPL football on the BBC, while Betway was the most advertised during coverage of the EPL on Sky television . Clubs and leagues that wish to promote family-friendly products should consider following Luton Town’s example  and opting out of sponsorship deals with gambling companies, as has also happened in Australia  and Ireland . Research has shown that normalisation occurs when young people are exposed to the marketing of adult products including tobacco, alcohol, and gambling and that this can affect both their intentions to consume and actual consumption of these products [2, 31, 32]. Our findings are very similar to those of Australian studies which demonstrate that the majority of young people and adults perceive that gambling is becoming a normal part of sport . 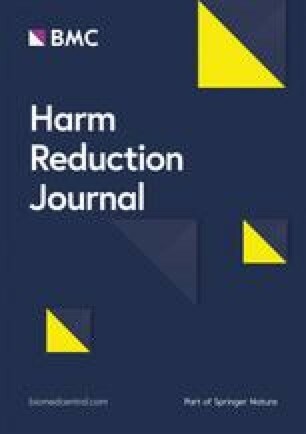 The similarity of these and other findings suggests that it may be useful for policymakers to use the principle of ‘logic based on parallel evidence’ , utilising the evidence from Australia to guide policy and public health prevention responses while they wait for research to be produced in the UK. It is difficult to predict how the perception of betting as a normal part of sport will affect the future consumption behaviour of young people. However, a growing body of parallel evidence from other jurisdictions suggests that it is likely to influence the uptake of betting. For example, one study in Australia found that young people who watch a lot of sport on television are more likely to say that they would like to try gambling when they grow up . In our study, the vast majority of young people stated that they had seen gambling advertising on television. This mirrors a survey of 2881 11–16-year-olds in Great Britain by the Gambling Commission, which found that 80% of 11- to 16-year-olds had seen gambling advertisements on television and 39% had seen them more than once a week . These findings raise questions as to the effectiveness of existing regulations, including the 9 pm watershed, and also the appropriateness of the exception which allows sports betting firms to advertise during live broadcasts of sports. While a ban on advertising during live sport has been widely suggested and supported in the UK , including by some bookmakers, our data suggests that this single measure may not be sufficient to significantly reduce young people’s exposure to gambling advertising, which they also reported seeing in a range of media, sporting, and land-based environments. A recent study of broadcasts of EPL football on the BBC and Sky found that the majority of the instances of advertising appeared on dynamic billboards surrounding the pitch . Despite the fact that gambling advertising has been banned from media designed for young people since 2007, the Gambling Commission survey of 2881 11–16-year-olds found that 70% of young people say they have seen advertisements on social media and 66% on other websites . Figures were lower among our participants, perhaps because our sample included younger children. Even so, half of young people recalled having seen gambling advertisements on screens and technology and over a third had seen them on social media. This suggests that changes to the regulation of gambling advertising during commercial breaks on television alone may not prevent the exposure of young people to gambling advertising. A recent study in Australia examining the efficacy of the new rules which banned gambling advertising during live sport broadcast on television before 8.30 pm found that young people continue to watch live sport on television after 8.30 and were exposed to gambling advertising on other channels, including social media . The study highlighted the need for urgent and comprehensive regulatory responses to address the range of channels and mechanisms that the gambling industry may use to promote their products. Our study suggests that gambling advertising on television and social media is a matter of concern for some young people and adults. Both groups felt that it had an impact on young people’s behaviour and described the intrusiveness of gambling advertising and its ability to capture attention using a range of techniques including by featuring celebrities and sports people, humour, and catchy music. The content of adverts in the UK and their impact on young people in particular was raised as a concern and requires further investigation, as has already taken place in Australia . The lower numbers of 14 to 16-year-olds in this study reflects the difficulty of recruiting young people for this age group, as they tended to attend events with their peers rather than with adults. Data was collected during the FIFA World Cup when both football and gambling advertising were particularly prevalent. Young people may have been exposed to more advertising as a result. Further studies at different times in the football season may help us to understand whether or not the volume of advertising that accompanies any important event was a factor in our findings, and if so, how it affected the responses of young people and adults. We anticipated that the magnet board activity could potentially trigger recollection of gambling brands and therefore asked participants to recall as many brands as they could before engaging in the task. However, there is also a chance that the magnet board activity affected the answers given to subsequent questions. If the study was repeated, counterbalancing could be considered for the task/question order. Young people in the UK are exposed to gambling advertising via a range of media and through sponsorship and promotion as well as advertisements. While a partial ban on televised advertising during live sport has been widely suggested and supported in the UK , our data suggests that this single measure may not be sufficient to significantly reduce young people’s exposure to gambling advertising. Policymakers should consider comprehensive approaches, such as those applied in tobacco control, which take into consideration all forms of advertising, including promotion and sponsorship. Policymakers should also consider how recent changes in Australia have been more or less successful in reducing the exposure of young people to gambling advertising. This project would not have been possible without the hard work of Ivana Kulas-Reid, Nikita Shergill, Lauren Haley, Claire Zabielski, Eleanor Smith-Hahn, Gemma Hedge, Jessica Bishopp, Laura Wilson, Logan Slim, Ash Stannard, Hayley Wilson, Jasmine Day-Langley, Sarah Frosh, Poppy Falk and Poppy Carter. This research was supported by a Research and Enterprise Committee impact grant from Goldsmiths. ND was the lead researcher in the study and, along with GW, adjusted the methodology to the UK context, trained the students in survey and interview techniques, and oversaw data collection. GW, MW, and RC also contributed to data collection. ND and GW drafted the first version of the paper which was revised by ST and RC. All authors have read and approved the final manuscript. Study received ethical approval from Goldsmiths Ethics Committee (REF 1365). All participants provided informed consent (written for adults, verbal for children). Participants consented to the data being used for publications. ST currently receives funding for gambling research from the Victorian Responsible Gambling Foundation and the Australian Research Council Discovery Grant Scheme. In the last 5 years, she has received travel funding for conference presentations from the European Commission, Beat the Odds Wales, and the ACT Gaming and Racing Commission. RC has, in the past 3 years, received travel expenses from government departments and from organisations which derive their funding from government departments (including through hypothecated taxes on gambling) including the University of Helsinki Centre for Research on Addiction, Control and Governance; the Alberta Gambling Research Institute; the New Zealand Ministry of Health; the New Zealand Problem Gambling Foundation; and The Gambling and Addictions Research Centre at Auckland University of Technology. Thomas, S. L., Hannah Pitt, Amy Bestman, Melanie Randle, Mike Daube, and Simone Pettigrew. “Child and parent recall of gambling sponsorship in Australian sport.” Research. Victorian responsible gambling foundation, 2016. http://responsiblegambling.vic.gov.au/resources/publications/child-and-parent-recall-of-gambling-sponsorship-in-australian-sport-67/. ASA - The Advertising Standards Association 2018. “16 Gambling CAP code.” www.asa.org.uk. https://www.asa.org.uk/type/non_broadcast/code_section/16.html. Accessed 21 Feb 2019. Press Association. Number of clubs sponsored by betting firms is ‘disturbing’, say campaigners. Guardian. 2018; https://www.theguardian.com/football/2018/jul/30/campaigners-concerned-championship-efl-clubs-sponsored-betting. Bestman A, Thomas SL, Randle M, Thomas SDM. Children's implicit recall of junk food, alcohol and gambling sponsorship in Australian sport. BMC Public Health. 2015;15(1022) https://doi.org/10.1186/s12889-015-2348-3. Nyemcsok C, Thomas SL, Bestman A, Pitt H, Daube M, Cassidy R. Young people’s recall and perceptions of gambling advertising and intentions to gamble on sport. J Behav Addict. 2018;7(4) https://doi.org/10.1556/2006.7.2018.128Ofcom. “Ofcom Publishes Research on Television Gambling Adverts.” Ofcom, September 14, 2016. https://www.ofcom.org.uk/about-ofcom/latest/media/media-releases/2013/ofcom-publishes-research-on-television-gambling-adverts. Department for Communities and Local Government. English Indicies of Deprivation. 2015:2015 https://www.gov.uk/government/statistics/english-indices-of-deprivation-2015.